My family is tennis mad so I was very excited when Serena Williams collaborated with OPI this year to bring us four collections to coincide with the four Grand Slams. I must say I wasn't all that fussed about the colours in the first two collections apart from the Shatter, but the latest collection Glam Slam! England is a must have! It comprises of two sets and the one I have for you today features Grape... Set... Match... and Servin' Up Sparkle. Grape... Set... 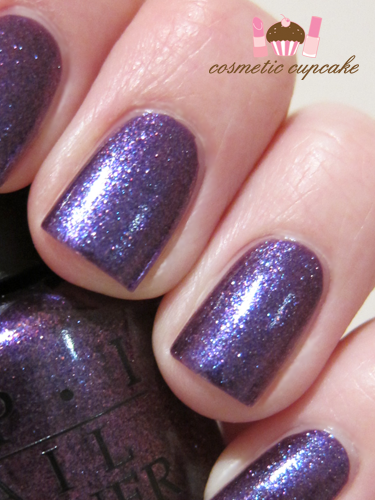 Match... is a gorgeous metallic duochrome purple with tiny blue and purple sparkles. It is just beautiful!! My pictures definitely don't do this polish justice - it's a tiny bit lighter in real life. In some lighting it looks more blue and other lighting more purple. It took 2 coats for opacity with a thicker 2nd coat needed to level out the polish. 2 coats pictured below. Overall: The polishes in this set are gorgeous and I'm so happy to add them to my collection. Application was good for both polishes and dry time was reasonable. Servin' Up Sparkle is a fantastic glitter and the glitter applied very evenly across the nails which is great. I like that you can build up the level of glitter you want. As always the Pro-wide brushes made application for my large nails very easy and no clean up was necessary. Grape... Set... Match... reminds me of OPI Ink but lighter so it's not the most original colour but a beautiful purple nonetheless. If you love purples as much as I do I'd say it's worth owning both! 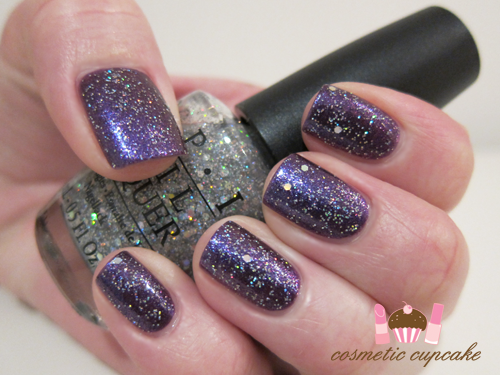 Servin' Up Sparkle has a somewhat gritty finish so I'd suggest going with a thicker top coat to smooth it out. I love how these sets coincide with the four tournaments. One of my travel plans is to attend all four Grand Slams in my lifetime at least once. I've done the Australian Open but Wimbledon is the big one! I am just enamored with everything Wimbledon as I've wanted to go there since I was a little girl. Everything about the tradition of the tournament, strawberries and cream and the players in all white excite the tennis fan in me! Who knew tennis and nail polish would combine so well? 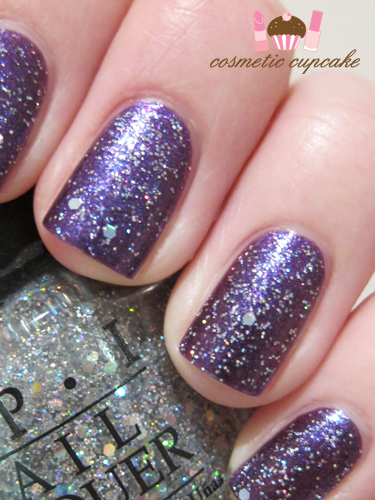 Details: The OPI Serena Williams Glam! Slam Grape... Set... Match... & Servin' Up Sparkle duo set retails for $19.95 and is available from now until stocks last at leading salons and David Jones stores nationally. For your nearist OPI stockists contact 1800 358 999 or visit www.opi.net.au. Are you a tennis fan? Will you try these out? the purple is so nice. I really gotten to love purple this year haha! I do not like tennis at all but the grape.. set.. match.. is awesome! I'd love to see a tennis match (Grand Slam or not), soccer game and an F1 race. That's a lot to ask, right? I LOVE this combo. GSM looks somewhat diff irl though. It's even more amazing! Love this set of polishes! They look beautiful together!